How quickly can you think and answer a given question in the blink of eye? 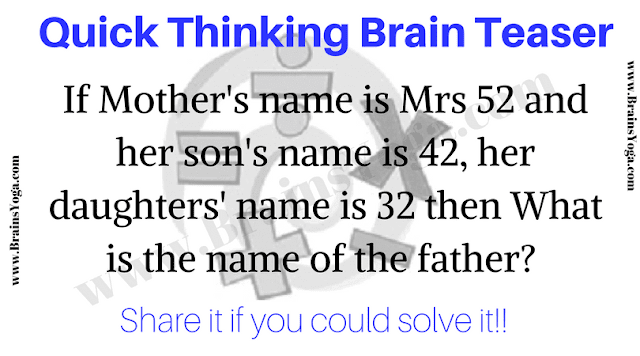 Here is one quick thinking brain teaser which you need to answer as quickly as possible. Lets see how much time you take to solve this quick brain teaser? Can you solve this as quickly as possible?